Lemon Tart — a beautiful delicacy that originated in France and is being enjoyed worldwide due to its delicate creamy, yet tangy filling accompanied by a light tart crust, that crumbs right into your mouth. Salivating yet? We are too! But don’t worry, we won’t leave you in that misery. 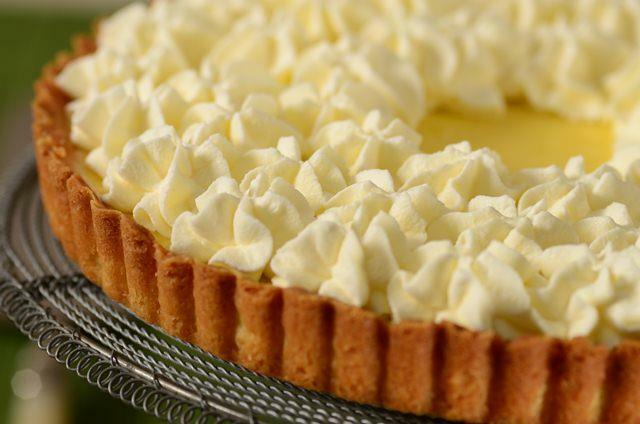 Instead, we have just brought to you an exclusive and easy tart recipe accompanied by a lemon tart. We’re sure you will enjoy it. 180gms unsalted butter, at room temperature. Roll out the dough and place in a round tart pan. Press the dough in firmly to the edges and bottom. Then, remove the parchment paper and beans/rice. Prick the tart all over with a fork, and bake again for 20 minutes more, or until lightly browned. In an electric mixer, cream the butter with the sugar and lemon zest. Add the eggs, 1 at a time, and then add the lemon juice and salt.